My family has a tradition of selecting a country as the theme for our Christmas Eve celebration. The food and entertainment are all based on the chosen country. In the past we have had Japanese, Mexican, French, Ukrainian, and Newfoundland Christmas Eve celebrations, among others. The entertainment often involves a craft. For the Japanese Christmas, we folded origami. We made papel picado for Mexico. For the Ukrainian Christmas, we make Pysanka, which are eggs decorated using wax. Apparently, this craft is customarily performed for Easter. 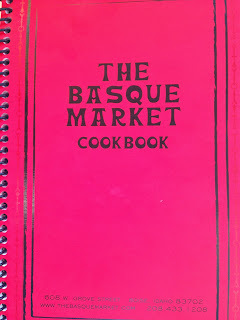 This Christmas our theme was Basque. The name means “speaker of the Basque language.” The Basque language is unrelated to other European languages. The Basque people are historically associated with a region in Northern Spain, though there is a sizeable population in France as well. There is a large Basque diaspora outside this region too. The main dish for our Basque Christmas meal was paella. 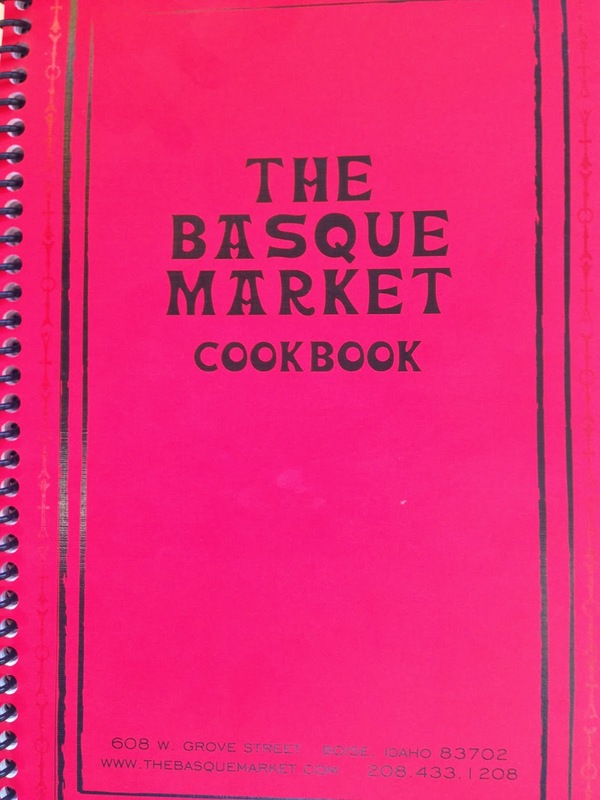 Paella might actually just be a Spanish dish, but there was a recipe for paella in a Basque cookbook we found. I’m sure Basque people eat paella. The ingredients for the recipe are 2 tablespoons olive oil, ½ medium onion, 3 cloves garlic, ½ cup green pepper, 1 tablespoon smoked paprika, ½ cup red wine, salt, 2 cups rice, 10 strands saffron, 6 cups chicken broth, 1 cup cooked chorizo, ½ pound shrimp, ½ pound mussels, ½ cup green beans, and ½ cup tomatoes. We were serving a crowd so we doubled the recipe. In a back burner we heated the broth and saffron to a low simmer. We sautéed the chopped onion and minced garlic in the olive oil over medium heat for about 10 minutes. Once the onions were translucent, we added the chorizo and green pepper and sautéed the mixture for a few more minutes. We added the rice and stirred until all the ingredients were evenly distributed. The original recipe doesn’t specify any particular rice, but a quick google search indicated a short grain rice is more traditional. We added the wine and paprika and cooked until the wine had been absorbed. The original recipe calls for white wine, but we had red wine on hand for another recipe. I’m not sure if that’s a kosher substitution, but that’s what happened. Once the rice mixture looked dry, we combined the rice with the warm broth. When the broth started to simmer, we stopped stirring. Without stirring, we pushed the shrimp and mussels into the paella. We let that cook unmolested for 10 minutes. We added the chopped green beans and tomatoes on top of the paella. The paella continued to cook for another 10 minutes without being stirred. We removed the pan from the heat and let the paella sit for 10 minutes. The recipe also called for pimentos, but I purchased olives stuffed with pimentos instead of pimentos. I don’t know what I was thinking. I know what pimentos look like. This was fabulous. The flavor was a little smoky, and it has a little hint of heat. The seafood was perfectly cooked, and the flavors married well. In hindsight, I have two suggestions. The rice was too moist. I would have added a half a cup or full cup less of broth initially and added more later if necessary. Because we didn’t stir the paella, not everyone received the same portion of seafood and vegetables. Avoid giving someone a plateful of shrimp and another poor sap only rice. So fun that you change themes every Christmas eve!! I love paella and it's definitely so perfect for basque cuisine!